mint cubed chocolate cupcakes | eating with S.O.L.E. Inspired by the wafts of mint coming from our little mint bog My daughter and I found the time to squeeze in a batch of perfect little chocolate mint cupcakes on Saturday afternoon. 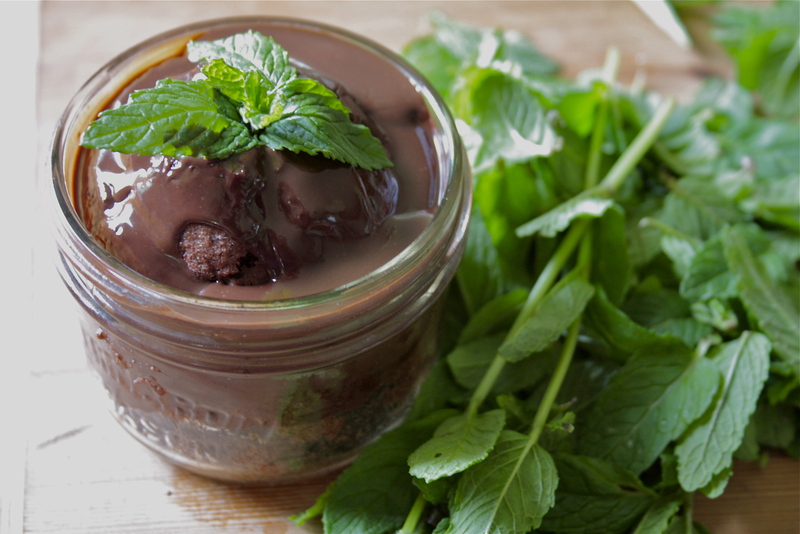 The easy 1 bowl batter and the coconut milk gnache both were laced with peppermint essential oil, and then we topped them each with a whole fresh mint leaf. They are triple threat kind of mint muffins! When melted remove from heat and stir in about 1/2 – 2/3 cup of thick coconut milk, stir until combined. 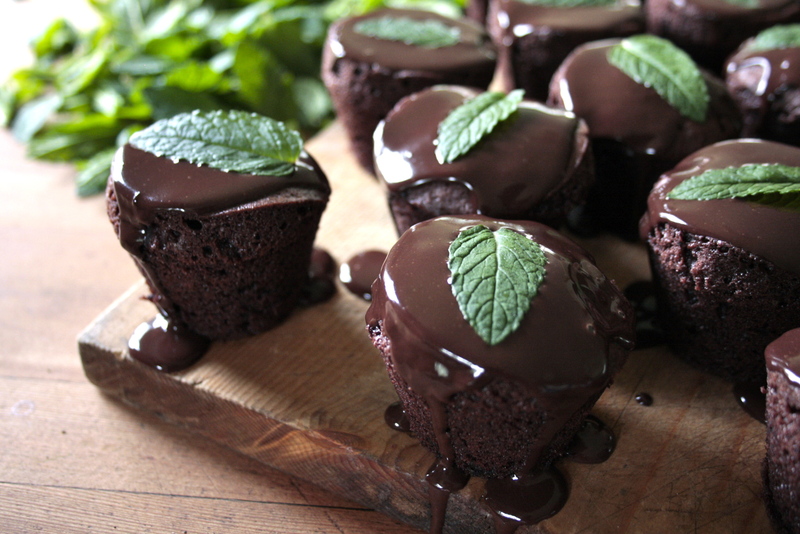 spoon or pour gnache over each cupcake, and garnish with fresh mint leaf. Ta-da minty divinity. This batch yielded 18 small cupcakes, and just enough batter to fill and bake 1 250ml mason jar cake.. which looked so lovely I might just make a whole batch in jars next time! I’m going to have to bust out the chocolate – those looks fabulous!!! cafe “caramel” nut brownie : gluten free | eating with S.O.L.E.